You are here: HomenextPlacesnextMansfieldnextMansfield (Miscellaneous)nextThe Beginning of Quarry Lane. 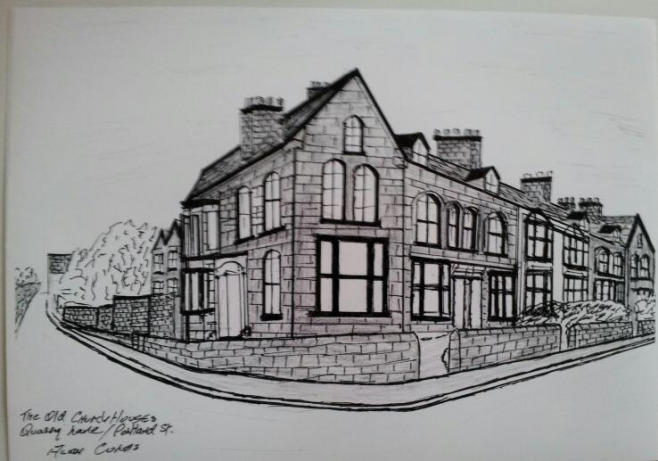 This is a sketch of the Portland Street / Saint Marks end of Quarry Lane. Mansfield. Apart from Bradder Street and the church on the tippin , just about everything was built with stone on the lane. These included all the walls and dwellings, plus the houses in the Byron Yard. All had Quarry Lane postal addresses.